Attitudes to the cannabis plant are rapidly changing around the globe. Recreational cannabis is now legal in nine US states, while Canada is set to legalise it nationwide. And medicinal cannabis is now readily available in 31 jurisdictions throughout the US. The tide is beginning to turn in Australia too. 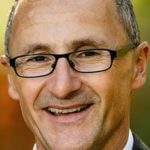 Greens leader Richard Di Natale started a campaign to legalise cannabis nationwide in April. While ACT Labor MP Michael Pettersson has just introduced legislation into parliament that would legalise personal cannabis use in that territory. However, the recently elected Liberal government in South Australia announced in July that it was cracking down on cannabis use and possession. They’re proposing that the maximum penalty is upped from $500 to $2,000. And initially they were also suggesting prison time apply. This retrograde proposal is strangely being instigated in the first Australian jurisdiction to decriminalise the personal use of the plant. In 1987, SA implemented a system where those found in possession of up to 100 grams of cannabis can simply receive a small fine and avoid a conviction. On the medicinal cannabis front, a major development took place, when, on 23 August, WA’s Little Green Pharma announced that it was the first company in this country to locally-grow and produce cannabis medicines that were ready for sale. Little Green Pharma confirmed via email that their LGP Classic 10:10 product is now available for national distribution via a pharmacy. And doctors are already prescribing this wholly Australian produced medicine to patients. This will lead to a collective sigh of relief for many patients who use cannabis medicines throughout the country, as they’ve been waiting for legal locally-produced products to become available since the Turnbull government passed legislation to legalise them back in February 2016. But, the South Australian government did make a pro-cannabis move this year. On 17 April, SA primary industries minister Tim Whetstone announced the approval of the state’s first industrial hemp licences, which are estimated to yield crops of $3 million in value within the first three years. SA Greens MLC Tammy Franks introduced an industrial hemp bill into state parliament at the end of 2016, which led to new regulations becoming law in November last year. This brought SA into line with all other mainland states, where industrial hemp could already be grown. 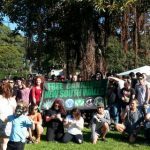 Since it formed in 2014, the Cannabis Council of South Australia has been at the forefront of the campaign to see cannabis legalised in all its forms: industrial, medical and social. The council is made up of a number of local cannabis advocates. 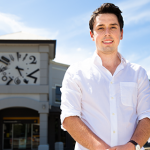 Murray Bridge man Matthew Rowland is the acting president of the council. Mr Rowland was involved with the local industrial hemp trials and he’s also been involved with the push to establish a South Australian medicinal cannabis industry. Sydney Criminal Lawyers® spoke to Mr Rowland about the reasons behind the Marshall government’s out of step crackdown on cannabis use, the benefits that the local industrial hemp industry will bring to South Australia, and how the legalisation of cannabis in all its forms is imminent. Firstly, the newly elected Marshall government has currently got legislation before the SA Legislative Council that if passed, will quadruple the maximum fine for cannabis possession. And at first it even proposed that a two year prison sentence apply as well. Mr Rowland, why do you think the SA Liberal government has decided to crack down on cannabis, especially when South Australia has traditionally been progressive when it comes to its use? It’s simply because of the current state of cannabis laws internationally, and how we are slowly progressing towards a full legalisation model. Ultimately, I believe it to be because of the imposed applications of legalisation. It’s like the turn of the century alcohol prohibition. When they cut down on the illegal producers, they were preventing them from conducting business, and then started making a corporatised, government-controlled and regulated industry. And thus, the penalties for producing those goods became more extreme and restrictive. If we look at the tobacco industry. It’s illegal if one were to grow tobacco in their backyard. 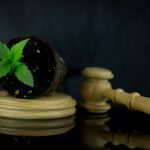 You’d be subject to severe financial penalties and criminal penalties, depending on the amount of cultivation and possession. So, I look at it like that. It’s a ramping up of the laws in lieu of the generally accepted move towards full legalisation of cannabis, as a recreational substance and also a medicinal substance. That’s why the governments approach is more restrictive at this point in its view of that aspect. It’s not something I support. I support a harm minimisation approach. And no doubt many other advocates that I have spoken with would also echo a similar understanding of that. And that’s not just from a pro-cannabis point of view. That’s from a pro-mental health aspect and a pro-reducing the criminal penalty aspect. I’ve spoken to people in drug and alcohol prevention organisations within South Australia that are very approving of that approach – of a harm minimisation aspect of legislation. The personal possession of cannabis has been decriminalised in South Australia since 1987. The possession of up to 100 grams of marijuana can lead to a fine of between $50 and $150. So, police have the discretion to issue a small fine rather than arrest an individual. Do you think the government’s new hard-line approach to cannabis will have an impact upon this system of decriminalisation? I do and I don’t see a large impact. I see it as at 50-50 issue, having an impact in that it will affect people who have possession of the substance, but it won’t affect anyone under an amount that’s deemed through discretion reasonable. It sort of goes with the answer to the first question. The government wants to be seen as doing something about the issue of drugs and drug possession, whereas, they understand that cannabis is becoming a more and more accepted substance to the general public. So, they want to be seen to be doing something about drugs, and also the crime aspect that they’re associated with, which is why I believe they wanted to put through gaol times and a harsher penalty. But, back to the initial point: do I see it being of detriment? Yes. I don’t see it as having a positive effect on the community. I see it potentially having a harsher impact. As we look at the war on drugs, it’s essentially been a failure: large amounts of the overall prison population are there for small possession and use. WA’s Little Green Pharma announced in August that it now has Australia’s first cultivated and produced medicinal cannabis products. What do you think about the country’s first locally-grown products finally being available? It’s a good move towards having a local supply and reducing costs to the end user. And also, ensuring that there’s a viable market here for the substance in Australia, which will ultimately, create economic growth. That’s the positive aspect of it. A negative aspect of it is that it’s taken so long to happen from the initial legalisation of medicinal cannabis. So, that leads me into my next question. The Little Green Pharma is the first local product on the market since the government passed legislation back in February 2016 to legalise Australian cannabis medicines. So, what sort of options are out there for patients who aren’t able to access any legal and locally produced products at the moment? The process has always been in place, with regards to prescription process, since the roll out of licenced authorised importers and wholesalers to be able to sell to pharmacies. The product has been there from an international source. So, that’s the one option that they still have if they can’t access the product which is locally-grown. If they chose to go the black market, well, that’s entirely up to them to make that decision. But, there is a legal product that’s available. It’s about going through the process of finding authorised prescribers, which I believe are becoming more and more publicly known. There’s a clinic in Western Australia that’s now stating that they are able to process prescriptions. There are Australian cannabis clinics in Victoria and NSW, closely following suit with that. So, there are options for people to be able to get access to medicinal cannabis products that are sourced internationally if they cannot get access to a legal locally-grown option. Many have questioned how serious the government is about getting the medicinal cannabis market up and running due to its slow-moving pace, as well as the huge amounts of red tape involved. 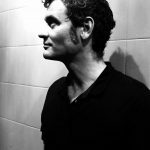 In your opinion, why has Australian cannabis medicine been so slow in getting off the ground? It has to do with the stigma that surrounds medicinal cannabis products. It stems from the war on drugs, which has essentially been a failure. Cannabis products are still available on the illicit market or the grey market or the underground market. They’re still readily available. So, if you were trying to eliminate that aspect of cannabis being available illicitly, that’s failed. The stigma stems from decades and decades of propaganda towards “all drugs are bad.” Whereas, significant scientific evidence has now found that cannabis or medicinal cannabis products have been in use for thousands of years and stem all the way back to Egyptian and Chinese medicine. We’re now reviewing likewise policies and procedures that were put in place to restrict access to this substance in fear that it had a criminal aspect to it – that it was not benefiting society. The simple issue is that the stigma attached to the drug, and the propaganda behind it, are now being re-evaluated. Given developments around the globe that have led to the legalisation of both recreational and medicinal cannabis, what do you think about the form of Australian authorities when it comes to cannabis? How we are looking at cannabis as a medicinal substance, or even as a recreational substance, is slow in relation to how other jurisdictions internationally are looking at the drug or the plant or the substance. It’s slow in that we, as always in Australia, have adopted a wait and see approach, which, in my personal opinion, is not in its entirety conducive in the best interests of the people. 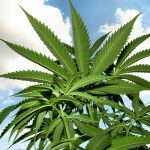 There’s been multiple polls about whether or not cannabis should be legal for recreational use or wider use medicinally, and the overwhelming majority of people have stated that they want cannabis to be legal in its entirety and then the use is then up to the person as a health choice. If it was to be legal, it would be up to the person how much they choose to use, how they choose to use it and in what form. It’s like a food product at the end of the day. Tomatoes or cannabis: each can have a negative health effect, obviously depending on how one were to ingest. Back to the question: I look at how the current government is administering their policy around cannabis to be quite slow. I’m sure you’re aware of the recent Senate inquiry into cannabis that Senator Leyonhjelm submitted. They interviewed multiple parties, both pro-cannabis and against cannabis. Their conclusions were heavily biased to the negative aspects of cannabis, which still stems from the propaganda. So, a lot of this is still not substantiated by the will of the people and the weight of scientific evidence that shows its efficacy. So, there’s a lot of hindrance in that aspect of a cohesive policy being administered, because of this propaganda element. If one were to look into the scientific evidence and the policies in Portugal, they would know that the legalisation of cannabis – or even the legalisation of other substances – can have a beneficial social influence, especially when it’s regulated correctly, offered in a safe manner, and also, when it’s treated as more of a health issue, rather than a criminal issue. Some good news came through on the South Australian scene back in April, when the SA government approved the state’s first industrial hemp cultivation licences. What sort of impact is the opening of the industrial hemp industry likely to have in South Australia? Through the CCSA I’ve been involved in the trials that are happening to substantiate the best cultivar that should be available to the industry. And it’s been backed by significant trials and scientific evidence through the University of Adelaide and also PIRSA and SARDI, with assistance from the CSIRO. The impact in terms of scientific benefits is going to be immense, because it’s going to benefit graduates and scientific research. It will also have a flow on effect internationally. We’ll be looked at as the forefront of industrial hemp research. It will also have a monetary influence in that it will be substantially influential in terms of the millions of dollars that it will generate for the state. And in terms of products, farms and jobs – and many knock-on effects – it will be extremely beneficial. And socially, it will also help reverse the stigma that’s been associated with cannabis or hemp and how it has been viewed over the last 60 years. And lastly, Mr Rowland, you advocate for cannabis to be legalised outright. Given the current attitudes of Australian governments – but also looking at developments around the world – how likely do you think we’ll be seeing legalised cannabis anytime soon? So, I look at in the next year to two years we’ll have a system very similar to either Canada or several of the states in the United States that are moving towards a recreational market. Is Hazing a Criminal Offence?